For them, David with its warm weather, smaller expat population, bustling city center, and vibrant Panamanian culture was just right. They enjoyed being more enmeshed with their local neighbors and picking up Spanish. Being one of the few foreigners among 150,000 or so Panamanians was their ideal. Thing is, the folks in Boquete had some things to say about David’s crowds, traffic, and “steamy” climate. They prefer the cooler weather that comes from being at around 4,000 feet. And although there can be windy and rainy periods, temperatures are usually in the 70s F and low 80s F during the day, cooling into the 60s F at night. They also enjoy the close-knit expat community that often gathers for farmers’ markets, dinners, parties, volunteer activities, and more…the small-town feel…and the green mountain views. So, there is a bit of rivalry here in the Chiriquí province. But I did notice something else. David residents have friends in Boquete, and vice-versa. And many make frequent trips up or down the mountain. It’s an easy 30- to 45-minute drive on a smooth paved and well-maintained four-lane road. So if a friend is having a get together one afternoon…it’s easy to get there. People in Boquete head to David too. They shop at PriceSmart, a warehouse shopping club like Costco, and larger grocery stores (with any item you might need). They go the doctor or dentist. Or even head to the airport, which offers daily service to Panama City. They journey to the “big city” and then head back to their calm, country retreat. There’s the beach near David too. A favorite spot is Boca Chica, which is just 45 minutes’ drive from the city center. It’s a quiet, tropical beach with little development. And there are deserted islands just offshore, reached by boat, where you can spend the day swimming and laying back on your towel looking over the glittering Pacific. And when people in David want farm-fresh veggies, gourmet food items, and the like they head to the Tuesday market in Boquete. Or maybe they want to see some live classic rock or sip on some microbrew beer or get American-style pub grub—it’s hard to find in David. Boquete’s annual Jazz & Blues Festival draws well-known artists from the U.S. and Europe to perform for appreciative expat crowds. Really in this part of Panama, you get the conveniences of the city and the laidback lifestyle of the country. And these expats have a lot in common. They came to Panama to enjoy a lower cost of living, high quality but low cost healthcare, a friendly and welcoming vibe from locals, and more. They’ve found that whether they’re in David or Boquete. And they all have a sense of adventure…an essential ingredient to any successful expat life. 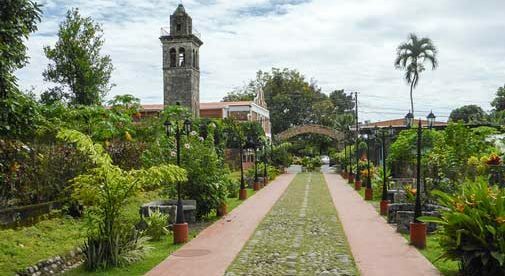 In the western highlands of Panama, in the Chiriquí Province, is a little mountain town that has many smitten—Boquete. 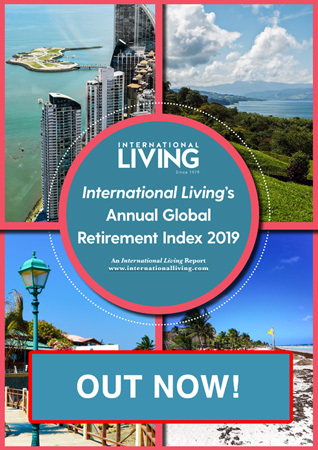 There’s a lot to like and many benefits that have made it a favored destination of retirees and other expats. Perhaps it’s the small town vibe that first draws you in. Boca Chica is a slow-paced fishing village of only 300 inhabitants, right on the Pacific Ocean. Here you won’t find any grocery stores, gas stations, or services—but that’s the beauty of it. Boca Chica is where you come to experience nature and the beauty of Panama. For my wife, Abbe, and me, our lives here in Pedasí, a small town on Panama’s Pacific coast, are a far cry from the hectic existence we lived back in the U.S. In Florida, we lived our entire lives in busy suburbs where we had to drive to everything. Now we walk to restaurants, grocery stores, and the town square.